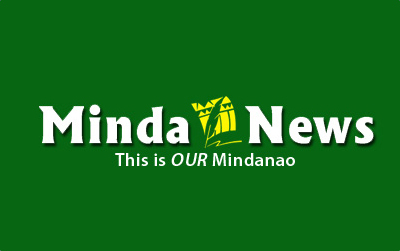 ZAMBOANGA CITY (Mindanews/19 May) – Community leaders have signed a pledge of commitment to support the ecotourism program the Department of Environment and Natural Resources (DENR) has envisioned for the Mount Timolan Protected Landscape (MTPL) in Tigbao, Zamboanga del Sur. Rosevirico Tan, DENR regional information officer, said the signing took place during an information drive on community-based ecotourism program on Wednesday last week in Barangay Limas, Tigbao. Tan said the event aimed to instill awareness among the different stakeholders on the management of the MTPL as an ecotourism site, their respective roles in the proposed program, and the importance of a protected area for biodiversity conservation and climate change mitigation. He said the program is an investment that could provide alternative livelihood to the host communities. 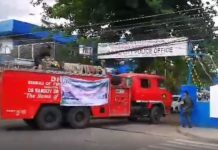 He added DENR officials led by Provincial Environment and Natural Resources Officer Adelaida Borja initiated the information campaign that was attended by municipal and barangay officials as well as some residents of Tigbao. 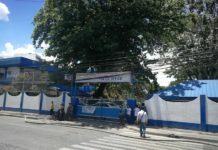 Tigbao is a fifth class municipality in Zamboanga del Sur comprising 18 barangays inhabited by 19,300 individuals or 3,327 households as of the 2013 census on population. Tan said the MTPL, which was formerly known as the Zamboanga del Sur Provincial Park, is one of the natural monuments of this province being the highest peak with a crater lake known as Lake Maragang. It was declared as a protected area pursuant to Presidential Proclamation No. 354 dated August 14, 2000. Tan said the MTPL has an area of 2,691,189 hectares spanning in six barangays in Tigbao and one each in Guipos and San Miguel towns, Zamboanga del Sur. He said Tigbao Mayor Danilo Dalid fully supports the DENR ecotourism plan as it would provide livelihood opportunity to the local residents.